With the adoption of 2030 Agenda, on September 25th 2015 by the heads of states of 193 countries under the aegis of United Nation’s General Assembly (UNGA), attention turned to the national level, where our governments at federal and provincial levels, working with a range of stakeholders, and struggling to establish a framework for implementation that identifies a realistic set of locally appropriate targets and indicators. 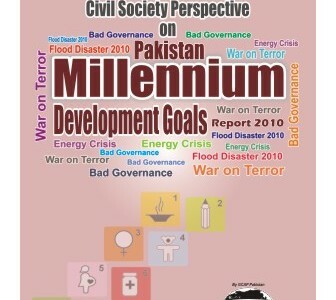 In this context, it is much appreciative that government has already commenced the process of implementation of SDGs by approving National Framework for SDGs targets and indicators, notifying Parliamentary Task Forces on SDGs to oversight the implementation of national priority framework, establishing SDGs Units at Planning Commission of Pakistan and at P & D Departments at Provincial headquarters. However, most of the civil society, academics, private sector, local governments and other related stakeholders were unaware of these efforts. 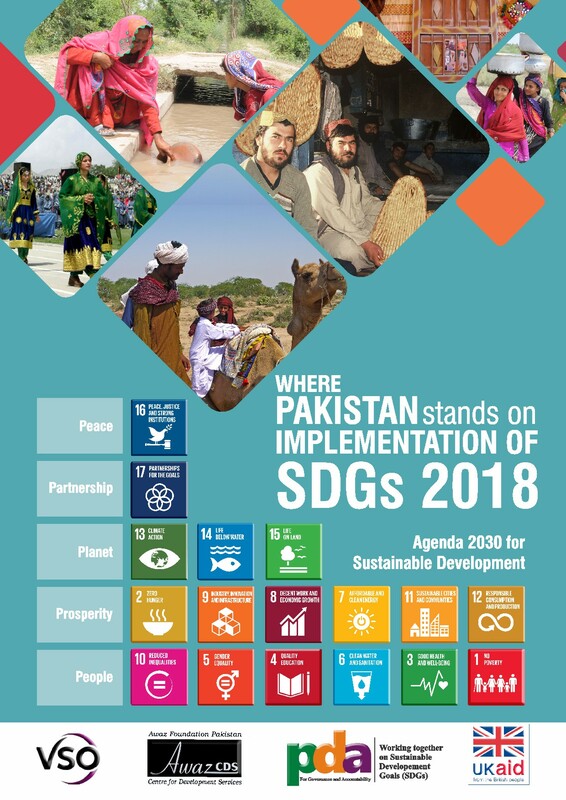 AwazCDS/Pakistan Development Alliance has carried out a quick mapping/ assessment on the current status of SDGs implementation at national and provincial level that identifies the accomplishments, opportunities, challenges and gaps to date. In order to highlight and share the key findings of the assessment, a series of policy to action forums were organized at national and provincial levels. Besides the criticism, the report shares equally strong voices of approval for the SDGs framework. SDGs framework is now considered an effective lobbying tool as it allowed the civil society to have their voices heard on issues relevant to their socio-economic development and political empowerment. The report acknowledges that SDGs have been useful in sensitizing governments, providing a platform, opportunity of collaboration, identifying gaps in social development. 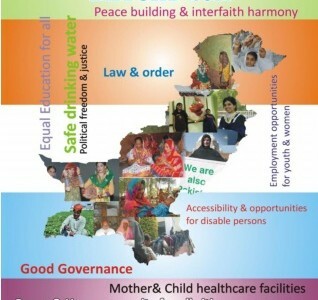 However this report also highlights the general limitations and poor ownership of governments at provincial and district levels, little involvement of grassroots communities and limited ability of state and civil society institutions including NGOs/ INGOs, political parties and privates sectors for integration of SDGs into country specific action plans. The report shares the diverse opinion of people and related stakeholders regarding the implementation of SDGs. Some views are much critical that includes the lack of ownership by the governments, inefficiencies and the dominance of non-democratic forces over strategic level decisions making negatively affected the implementation of SDGs agenda. Furthermore, unreliable data used as baselines weakened the legitimacy of the proposed framework and SDGs implementation process. The report also shares more philosophical nature of criticism of the people regarding the approach of the SDGs and termed them quite ambitious in nature. These critics argued that human development goals should have been determined in respect of basic inalienable human rights instead of current top-down development approach. To conclude, report in hand portrays accumulated efforts of assessment and policy to action forums that sets the way forward for the consideration and follow up of all related legislatures, decision makers, stakeholders and above than all The People of Pakistan who are the real beneficiaries and custodian of commitments made under Agenda 2030 for social transformation and sustainable development.